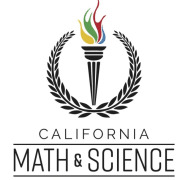 Our K-8 school is looking for retired engineers, scientists, mathematicians, teachers-- or anyone who enjoyed their calculus course-- to help us coach TAPS: (Talk/Think Aloud Problem Solving). We have a very effective math program in place that teaches children the foundations of arithmetic and we need your help to take them to the next level. We will train you and we can promise you that you will enjoy the experience and the students will be grateful for your service.